Just Thinking is a quarter-hour weekday broadcast. The radio outreach of RZIM is a listener supported ministry that powerfully mixes biblical teaching and Christian apologetics. The programs seek to explore issues such as life's meaning, the credibility of the Christian message and the Bible, the weakness of modern intellectual movements, and the uniqueness of Jesus Christ. 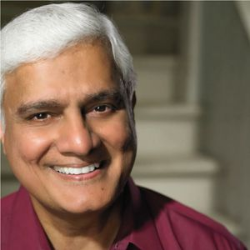 Listen and subscribe now to the best Christian podcasts today from podcasters just like Ravi Zacharias - Just Thinking. These popular Christian podcasts are available to listen to and download for free on Faithplay. Faithplay is filled with more episodes from Ravi Zacharias - Just Thinking and other top Christian podcasts. Download Faithplay today and start listening!